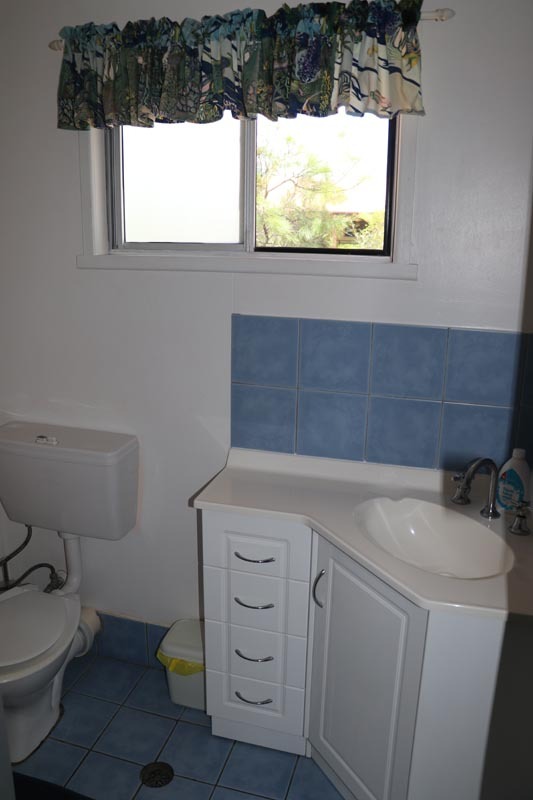 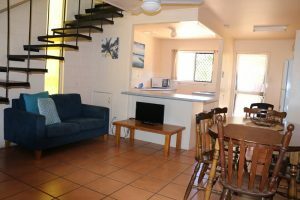 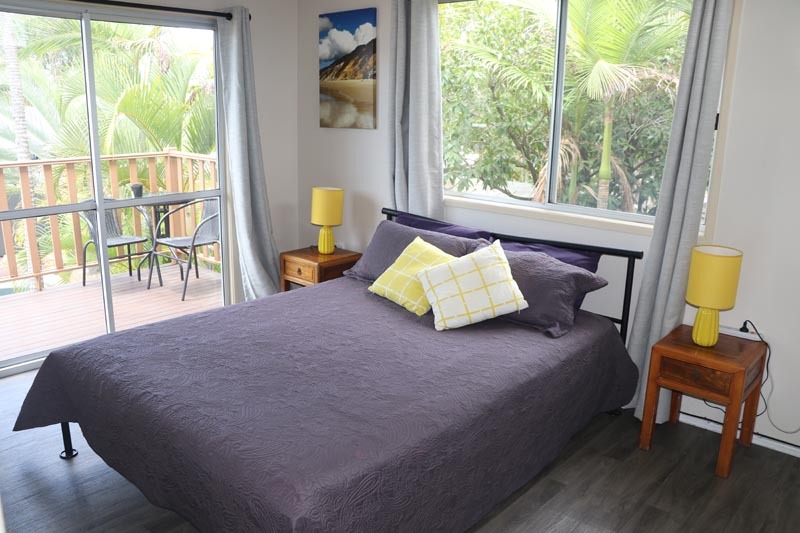 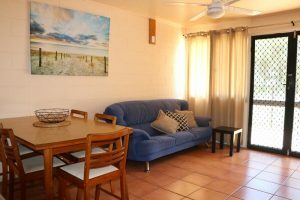 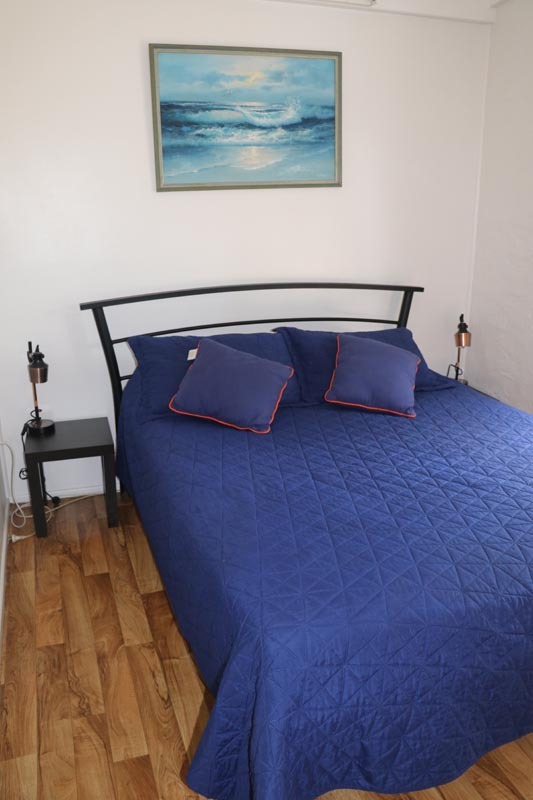 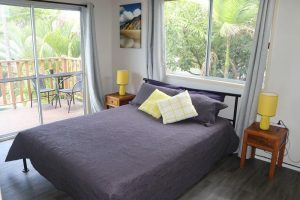 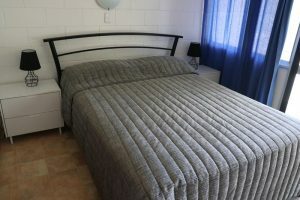 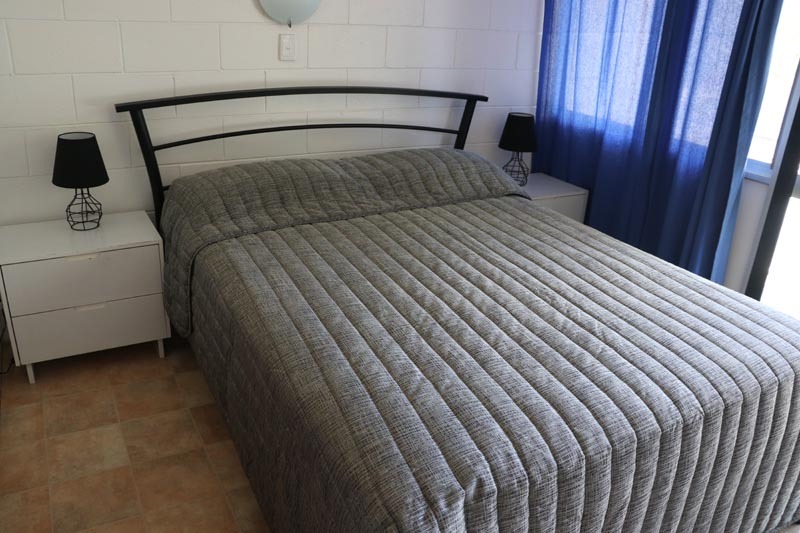 INFO: Located at #2 Indigo Avenue, opposite the newly renovated playground and the beach, in the heart of Rainbow Beach with just a 1-minute walk to the main shopping street. 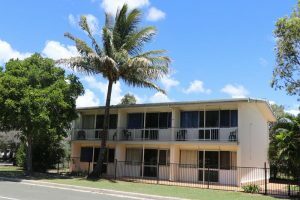 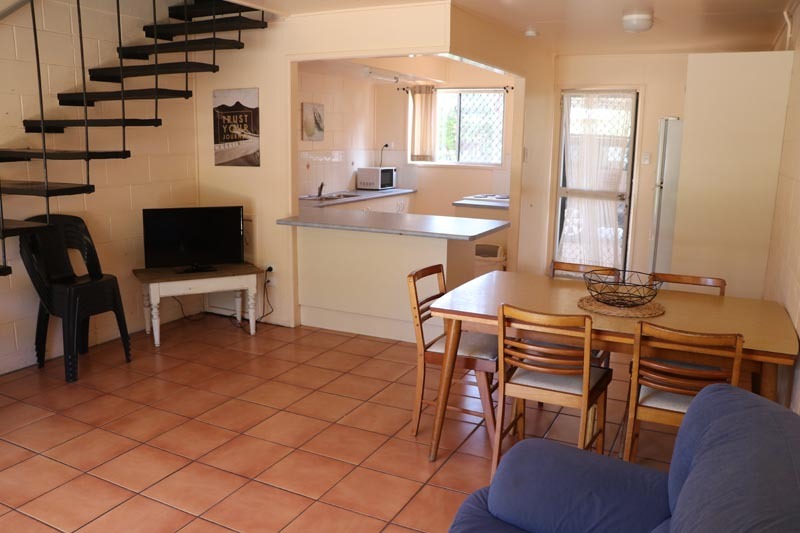 These self-contained units are in a set of three containing a fully equipped kitchen with living/ tv room downstairs along with a bathroom and two bedrooms upstairs. 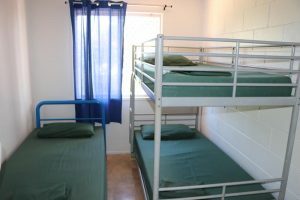 One bedroom has a queen size bed with ceiling fan while the other contains 1 set of bunks and a single bed with oscillating fans. Please note these units are not airconditioned. Guest car parking is located adjacent to the unit.